Whether you're looking to rent a golf cart to cruise around the island of Put-in-Bay for the day or if you plan to rent it overnight we have the golf cart rental you need. 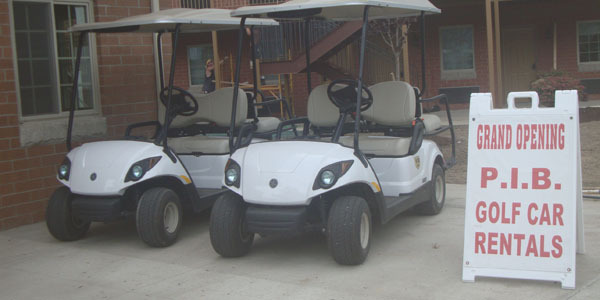 Put in Bay Golf Cart Depot Rental has gas and Green electric carts that will fit 2, 4, and 6 people. Need a place to stay and a golf cart rental? Check out our hotel and room specials at Put-in-Bay Victory Station Hotel located right next door to the golf cart renal and Commodore Resort Hotel located next to Mr.Ed's Bar and Grille and Mist.